 Hover the mouse curser over the name of a formation to view a graphical layout of it. This site has been designed to work in w3c standards-compliant web browsers. If you are using Internet Explorer, it may not display properly for you. Try viewing it in a decent browser, such as Mozilla Firefox. Return to the site index. If you encounter problems using this site, please .